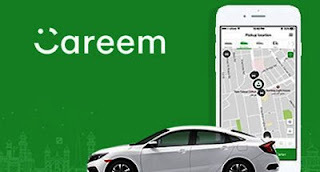 Dubai-based ride-hailing app Careem is creating around 80,000 new jobs for men and women every month, according to co-founder Mudassir Sheikha. The platform currently has about 800,000 drivers (or captains) who earn a living through Careem. “We’re creating 70-80,000 new jobs every month, which is probably one of the fastest job-creating engines in the region… captains who work on the platform and earn a living that supports their families send their kids to schools and helps them improve the quality of their lives,” Sheikha told. “In the way, we work with these captains, we are not just focused on giving them a way to earn a living, but we take it upon ourselves to look after them. There are many things we’ve done to help them in various times of need,” Sheikha said. "In the UAE, we have an emergency fund for captains, which they can tap into if they have a need that is not covered by their income. In Pakistan, we recently launched a partnership with some schools that allow our captains to send their kids to school and get an education." “When it comes to women, we are working more and more on social taboos to get women to work on the platform as well,” said Sheikha. ]”We are working through social taboos one at a time. What we’ve seen happen in places such as Pakistan, which is close to Sudan on the taboo side, is you need some brave women to step up and do it and then share the story. It creates inspiration for other women to follow suit. When they tell their stories, it will create a bigger momentum to address social taboos,” he said.